I love it when yoga teachers offer tea after yoga class. It's a nice way to end the session. Here's a great list of tea suggestions for post-yoga session whether in a yoga class or at home. Post-workout sessions require you to eat or drink something refreshing so that you start getting your energy back. Most commonly, you will come across people having energy drinks after an intense workout. The inspiration behind having refreshing and cool drinks is none other than popular athletes who endorse such products in various TV ads. Don’t get us wrong – we are not against them promoting drinks that can provide you with energy and nutrients. All we’re saying is that there are more and far better beverages for you. All the yogi experts or even beginners should seriously consider post-yoga tea as their choice of beverage. You may not know this but having tea after yoga can provide you with innumerable health benefits. Traditionally, tea is the preferred choice after yoga because it helps the mind and body to process your just-finished yoga session and prepares you for the busy day ahead. You must understand that not all kinds of tea are a befitting choice for your post-yoga session. Different kinds of tea have different kinds of effects on an individual. Therefore, a yogi should look for the kind of tea that refreshes their body, mind, and soul. 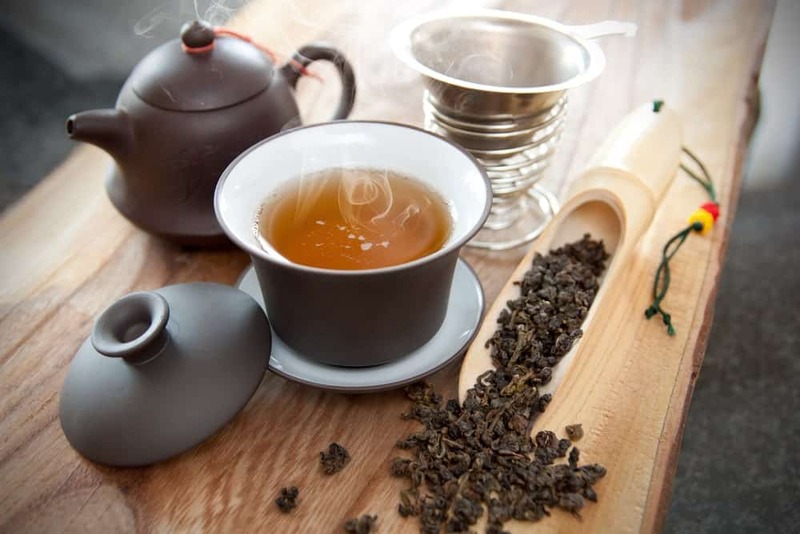 Here we’ve put together a great list 15 types of post-yoga session tea that are worth the try. Read on! Let’s not forget that yoga workout can burn you out. If there is a beverage that can stimulate you and increase your endurance, then it is (hands-down) green tea. The beverage also amazingly restores both your physical and mental health. 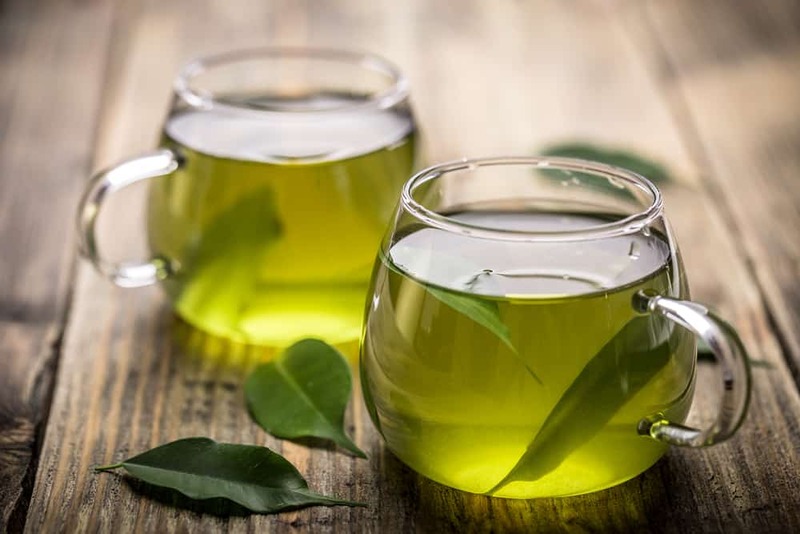 For example, if you are suffering from any form of physical pain, then a cup of green tea followed by a yoga session is a great way to fasten the healing process. The ever-so-nutritious tea also relieves stress symptoms, helping yogis to find their inner peace at once. 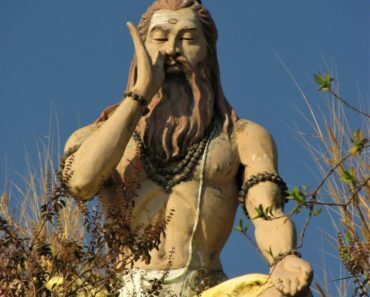 Those people who perform yoga at night tend to enjoy sound sleep as well. To make your night’s rest more peaceful, replace your cup of coffee with a cup of green tea! You may have heard an old Indian proverb – “everything good is found in ginger”. According to Ayurveda, ginger is touted as a universal medicine for all illnesses. Yoga effectively cures various health problems which is why people religiously practice it. 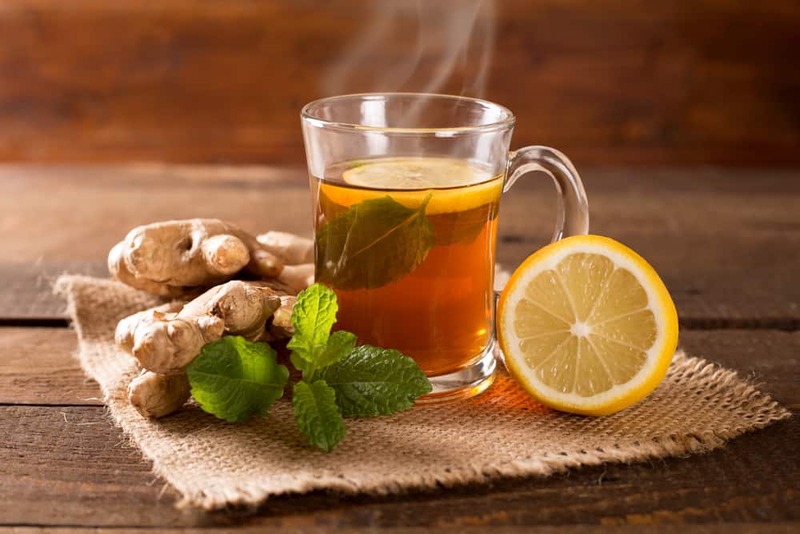 But to ensure that you stay protected against all kinds of common diseases, it is best to take ginger tea after yoga. 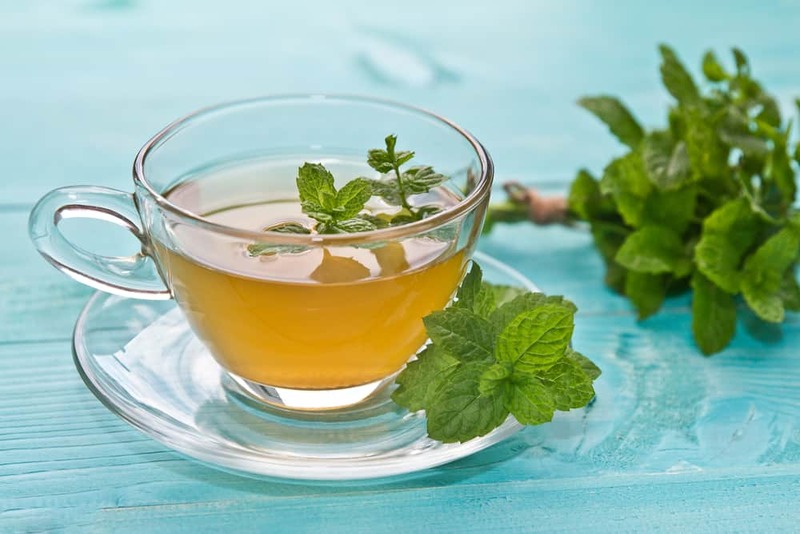 Before you set your intentions for the day, make sure that you have mint tea post-yoga session. Breathe in the soothing fragrance of mint tea and get ready to take on the world! If you like, you can mix spearmint, peppermint, and chocolate mint together and enjoy a distinctly flavored tea. But if you prefer simple mint tea, go for one flavor only. 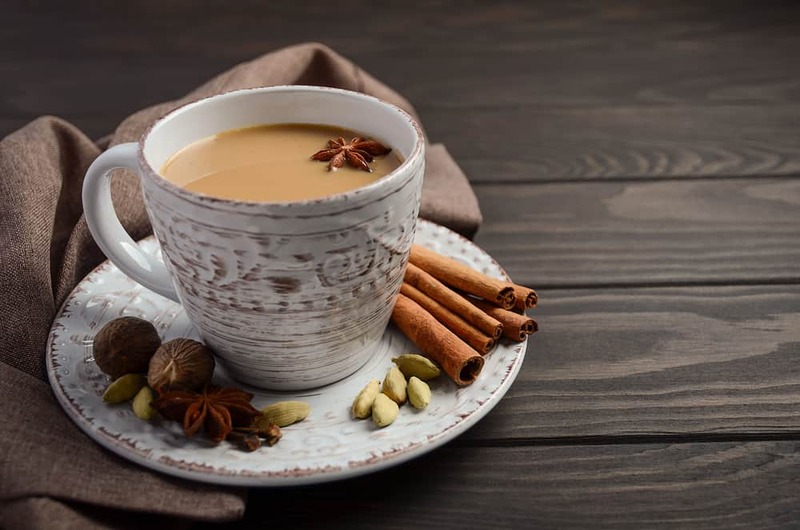 Chai tea is an ideal yogi drink for several reasons. A dose of caffeine in the form of chai will keep you super alert after yoga. After practicing breathing and meditation, you may want to hit the sack instead of going to work. To give yourself a boost, a steaming cup of chai tea can come to your aid! 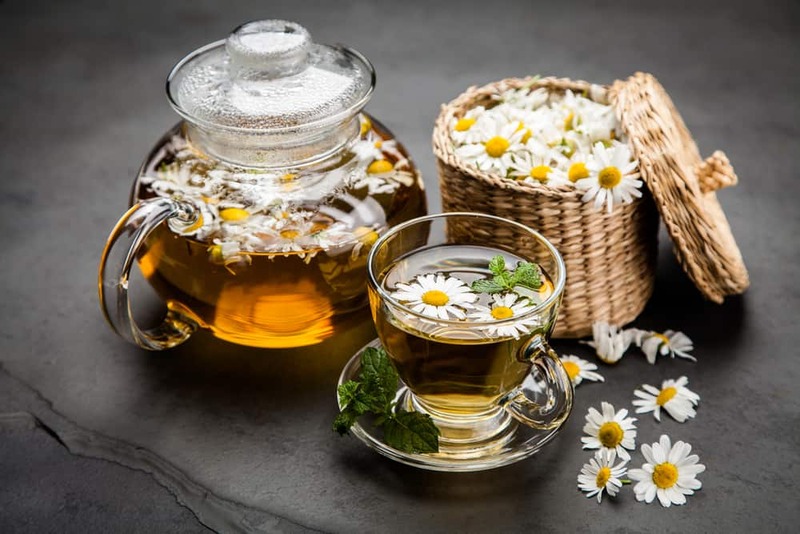 Chamomile tea is prepared from edible, lovely flowers, having the same name as its tea – chamomile. The beverage is popular for being the best “bedtime beverage”. 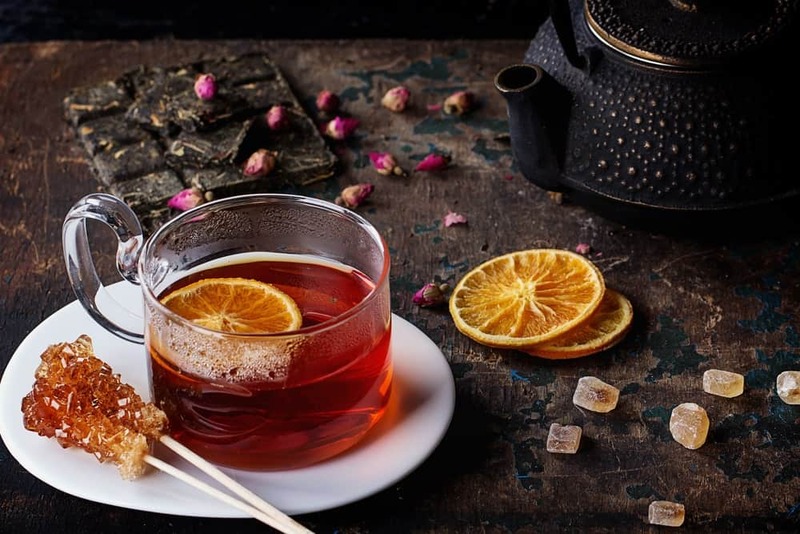 The tea is the perfect combination of bitter and sweet flavor with a light and floral fragrance. Drinking a cup of chamomile tea after yoga will help you relax more, especially if you’ve performed yoga before it. The perfect relaxant beverage will treat your anxiety and allow you to sleep sound and safe. Everyday-impurities can easily find a way into your body, making you feel sick and tired. But practicing yoga on a regular basis can help restore your internal health. Did you know that a cup of yogi tea can double that intended effect? 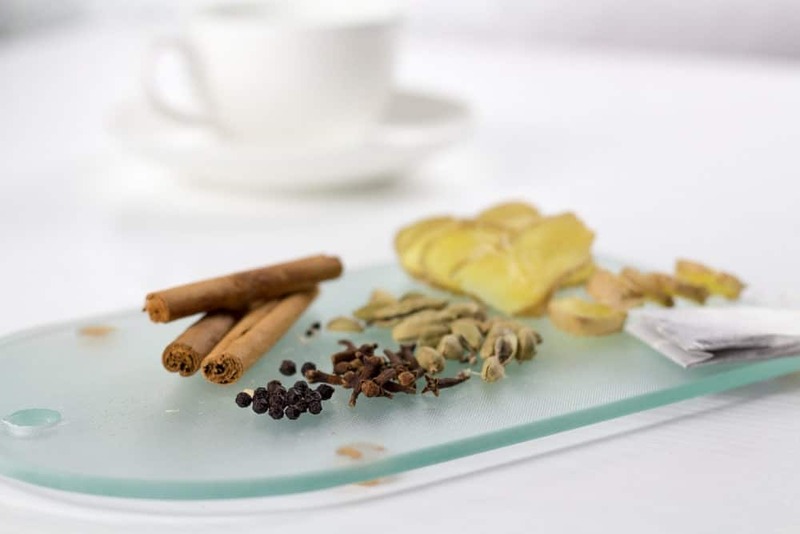 Yogi tea is basically a spiced tea that consists of cloves, ginger, cardamom, cinnamon, and black pepper. It has a base of black tea which is then sweetened with milk and honey for additional flavor. Lavenders are not just for decoration, but can also be served as the perfect post-yoga tea. Made from lavender buds, the floral-based tea is ideal for tired and sore muscles. 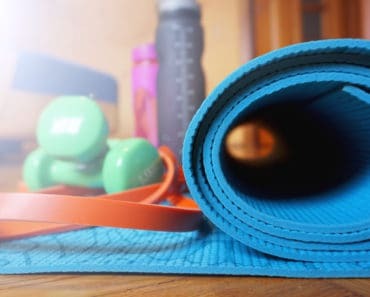 It is natural to have sore muscles or muscle spasms after a good yoga session. 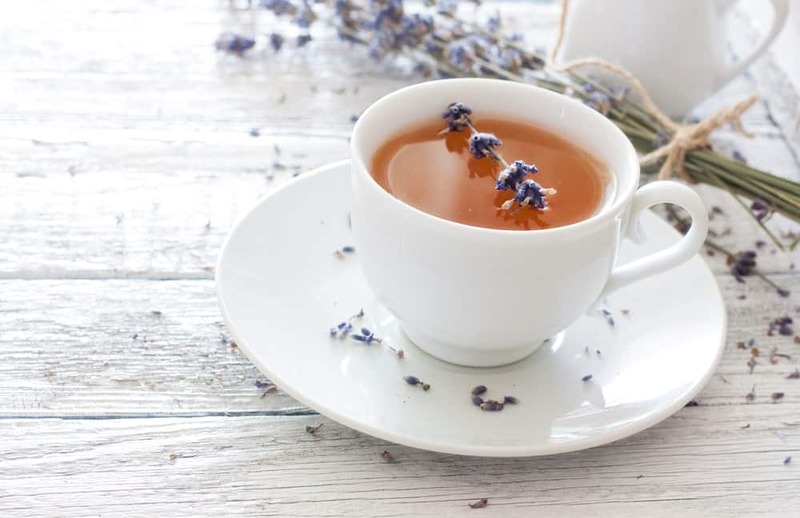 What you can do to relieve yourself of this soreness and pain is by having a nice, hot cup of lavender tea! This beverage will help you maintain your stamina and energy throughout the entire day. Flavored with exotic jasmine, jasmine tea is the kind of post-yoga tea that promises to offer amazing health benefits. 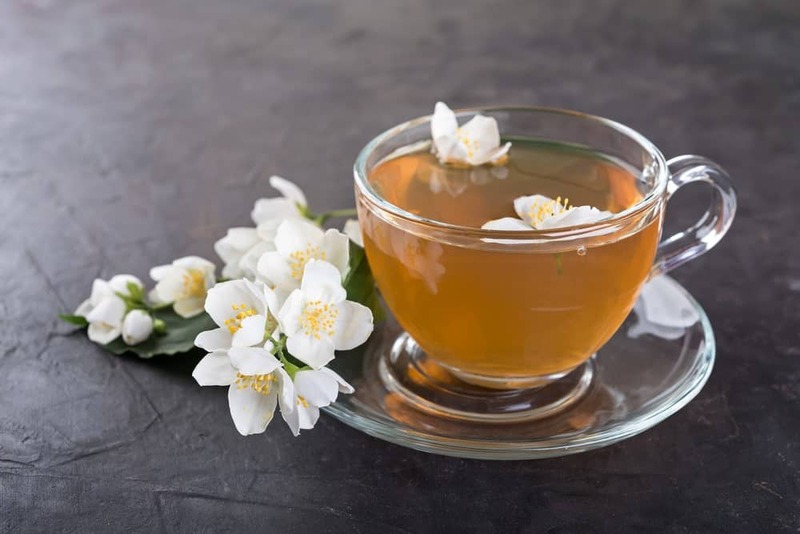 Some of the best health benefits of jasmine tea include an improved digestive system, less heart disease risks, a stronger immune system, and lowered cholesterol levels. Above all, the scent of jasmine tea helps relieve stress symptoms as it provides comfort and calming effects to the user. Seeing dandelions grow in your lush garden is a beautiful sight but did you know that these lovely flowers are edible as well? Unlike many blooms in the world, dandelions are often used for making tea which is known as dandelion tea. Yogis also prefer drinking the tea after yoga in order to feel calm and relaxed. 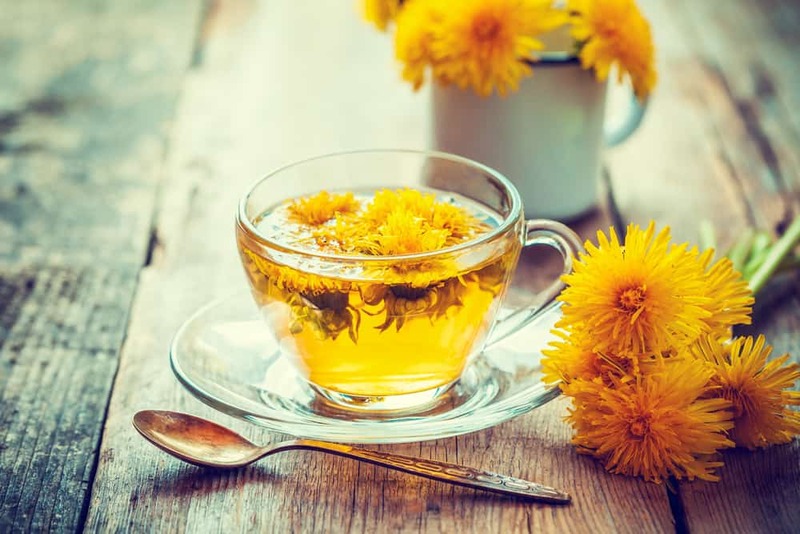 If you are suffering from digestive issues, then having a cup of dandelion tea post-yoga session will help treat your digestive problem for good. Most people indulge in fruits to boost their energy after a yoga workout. 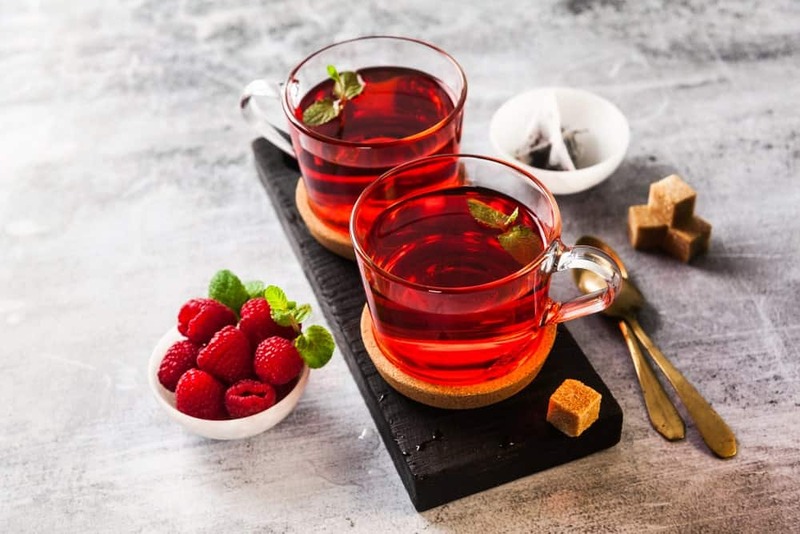 But if you want to try something different, we suggest that you try raspberry leaf tea. To prepare this kind of tea, you will need to add in 1 teaspoon of crushed raspberry leaves in boiling water. Let the leaves soak in the boiling water for a couple of minutes. Then, drink it like any other regular tea! Keep it in mind that the beverage is caffeine-free – a perfect option for those looking for a non-caffeinated drink. Roses are universally-loved flowers because of their soft, lovely, and romantic appearance. And anything that is prepared using them is surely just as good. 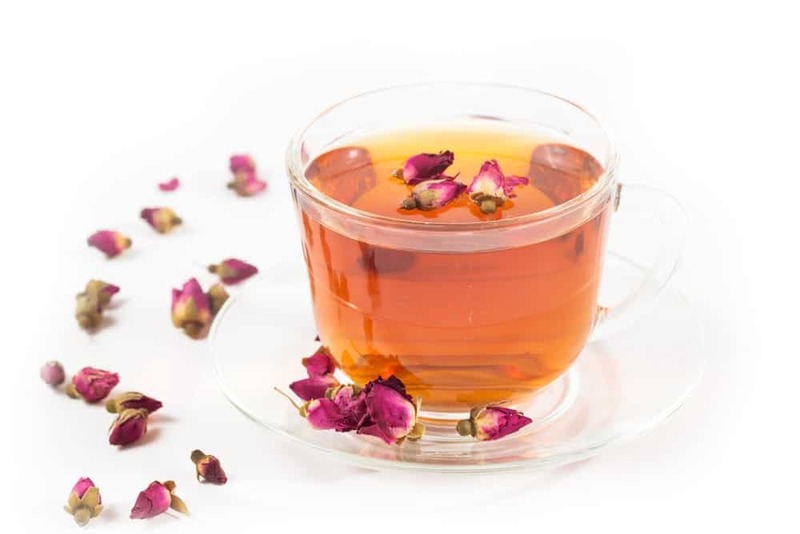 Having a cup of rose tea after yoga would be the perfect way to end your yoga session. In terms of taste; the tea tastes light, sweet, and mildly sour. Black tea is the strongest of all and if that’s not your cup of tea (like literally), then go for white tea post-yoga session. 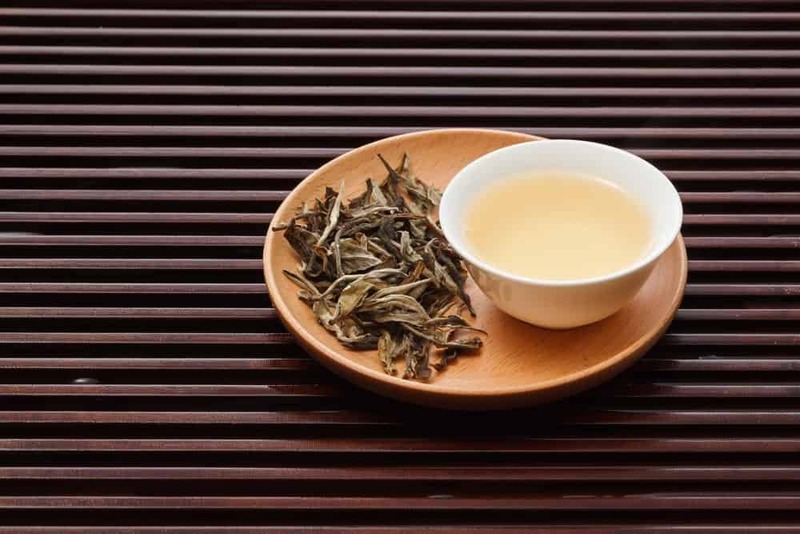 White tea leaves come from camellia sinensis – a tea plant – which makes them the freshest leaves ever. It is one of those beverages that are supremely pleasant to drink. If yoga classes tire you out, then a cup of white tea is always an option to cheer you up! Also known as “red bush”, rooibos is one of the most popular kinds of tea of all time. Like black tea, people prefer to have rooibos tea in its original color – red. However, there are people that prefer to add in sugar and milk for added flavor. 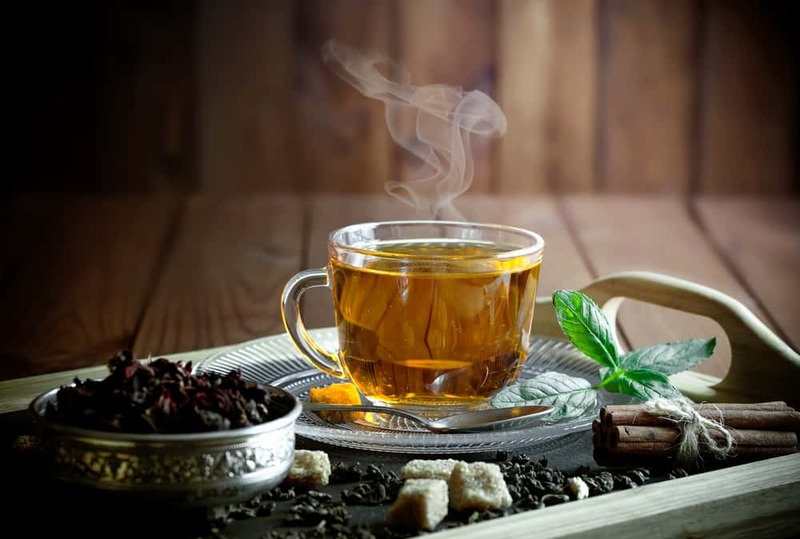 The herbal tea will not only hydrate you but will also provide you with plenty of health benefits including reduced aging signs, cured acne and eczema, relief from headaches, asthma, and allergies. If you want to take a break from having regular tea every day, here is a distinctive kind of tea for you to try after your next yoga session. Yerba mate is a common tea in South America which is gradually gaining popularity all over the world. The tea has a pleasant taste that will boost your mood after performing insane yoga poses like Taraksvanasana or Yoganidrasana. Engaging in these kinds of yoga poses will drain you out by the end of it. This is why you will need to have a beverage that enhances your energy levels. 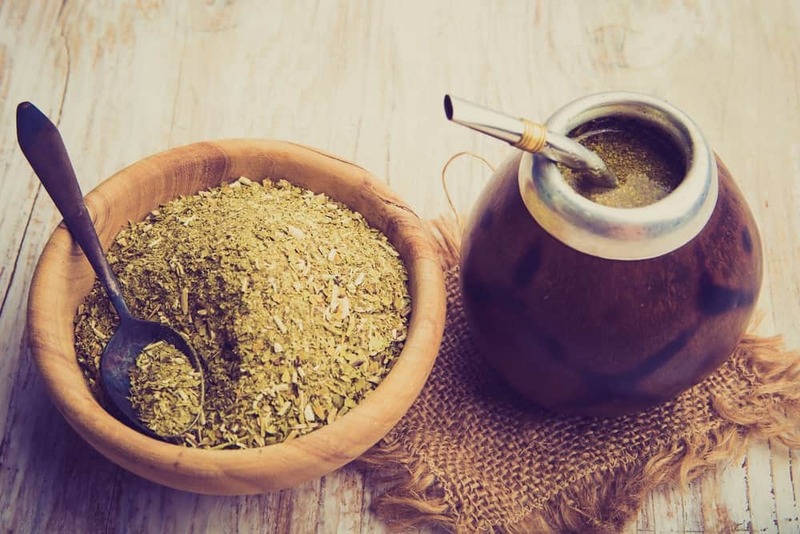 Honestly, there is no better option than Yerba Mate Tea to try. Do you wonder what oolong tea taste like? Well, it has the same taste as of green or black tea. The nutritious tea helps reduce stress and boost metabolism, making you feel good all day long. So don’t forget to try it once you are done with your yoga session. With so many options available, you have no excuse to not try all, if not at least a few of these refreshing beverages. So, bring your yoga session to a close by having any of these kinds of delightful tea!